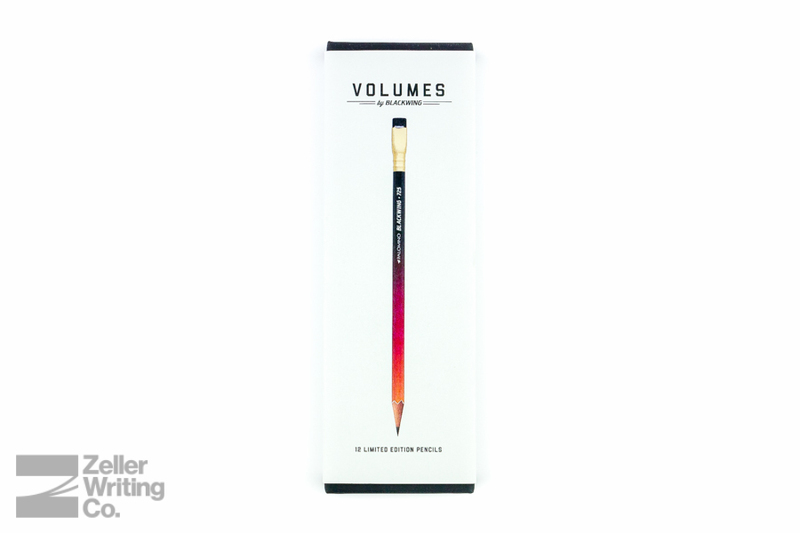 A few months ago, Palomino came out with a new line of Blackwing pencils, the Volumes series. They’ll release a new Blackwing design each quarter, accompanied with a story about what inspired the edition. Most recently, they released the Palomino Blackwing 211, designed with the noted environmentalist and key figure in the founding of Yosemite National Park, John Muir, in mind. 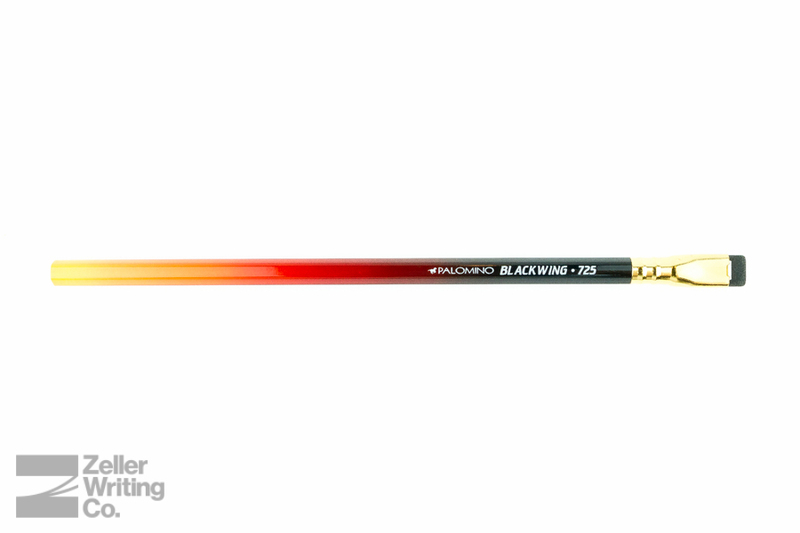 With the release of that pencil, the previous edition, the Blackwing 725, has be discontinued. While it’s sold out at most places, we still have a few packs in stock, and so I wanted to do a quick review before they were all gone! Music is a big part of Blackwing’s past, present, and future. 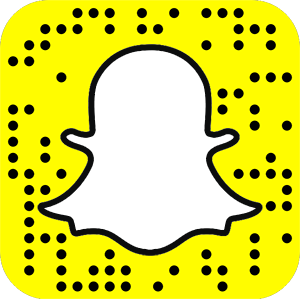 Few events embody the Blackwing spirit like the famed Newport Folk Festival, which takes place every July in Newport, Rhode Island. The Newport Folk Festival is a place for people who crave innovation but appreciate tradition. It has served as the setting for groundbreaking performances by artists like Johnny Cash and Howlin’ Walk, and it helped launch the careers of iconic artists such as Joan Baez and Bob Dylan. Perhaps its most memorable moment came in 1965 when Dylan to the center stage with the Paul Butterfield Blues Band and played a controversial electric set that included the first known performance of “Like a Rolling Stone”. The Blackwing 725 pays tribute to Newport as it celebrates the 50th anniversary of the 1965 festival and its impact on music and culture. The pencil’s unique lacquer is inspired by the sunbirst finish on the Fender Stratocaster that fueled what Rolling Stone Magazine called one of the “50 Moments that CHanged Rock n’ Roll.” The 25th day of the 7th month marks the date of Dylan’s memorable set. It also marks the date of the Saturday night showcase at the 2015 festival, featuring a new generation of insurgent artists including Sturgill Simpson, Jason Isbell and Nikki Lane. 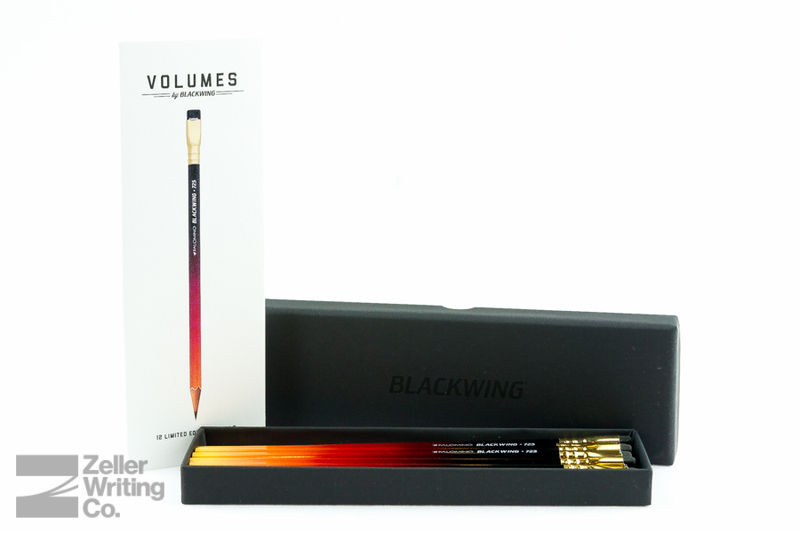 Like the rest of their Blackwing line, the Volume edition is a pack of a dozen high quality pencils – the main differences, besides a few-dollar premium, are the designs, backstories, and limited edition collectible aspect. The graphite cores are one of the three options in the Blackwing, Blackwing 602, and Blackwing Pearl editions. If you’re into great looking pencils that perform well, possible conversation starters, or limited edition anything, then these may be of interest to you. The packaging of the Blackwing 725 is an experience of its own. Each pack come with a letterpressed slip cover featuring information about the edition and full-color copy of the included pencil. It’s a very clean design and is likely the nicest presentation of any pencil of this price range. Once you remove the slip cover, you’ll notice a dark-gray clean, soft-touch, matte two-part case, with the Blackwing logo in black. Even without the slipcover, the packaging is very classy. Upon opening the case, you’ll find a gold colored grid with hex-core pencil intersect patter on the interior lid and body. Placed on top of the pencils is a translucent gray paper, printed with the story of the edition. 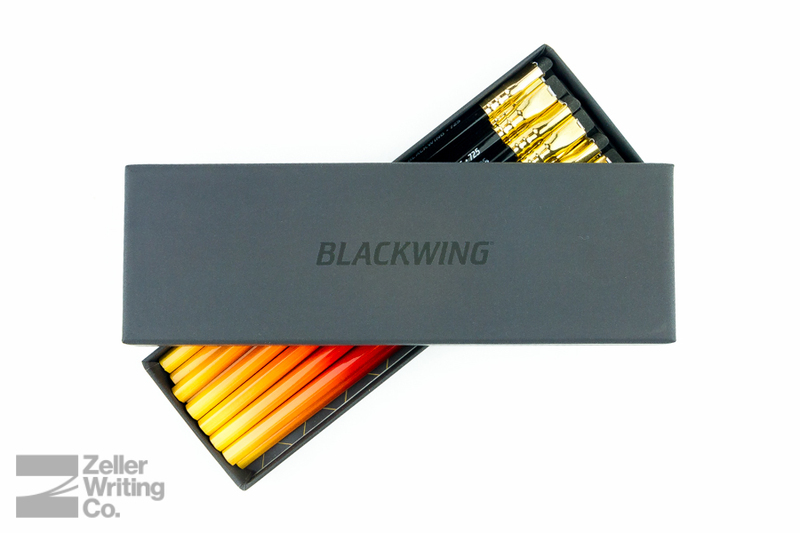 The packaging for this edition is extremely high quality, and it’s just one of the many aspects we’ve come to expect and appreciate from the Blackwing line of pencils. As I’ve had previous experience with the Palomino Blackwing line, I expected some high quality pencils, but I didn’t anticipate getting as excited as I did to check these out. Normally, I prefer matte just about everything, but I really can’t complain about the looks of these high-gloss pencils. Palomino really did well in matching the sunburst style of Dylan’s guitar on these pencils. 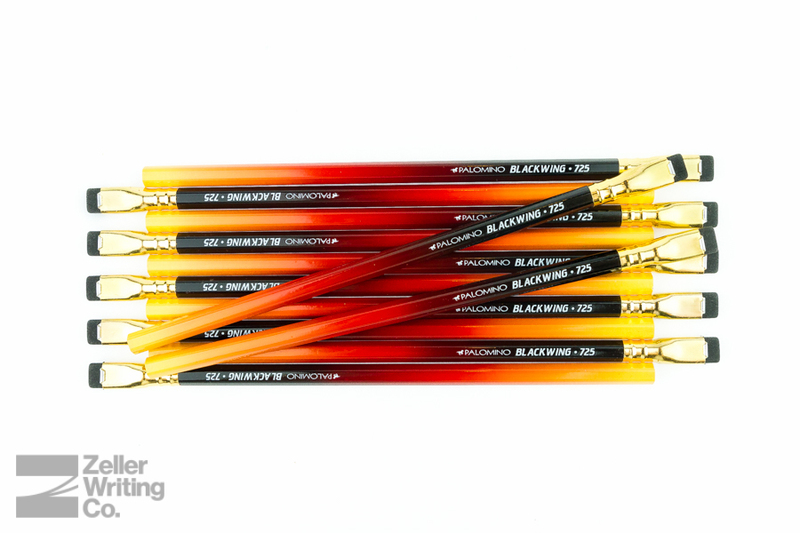 From the vibrant yellow at the point to the dark black near the ferrule, these pencils just look fantastic. 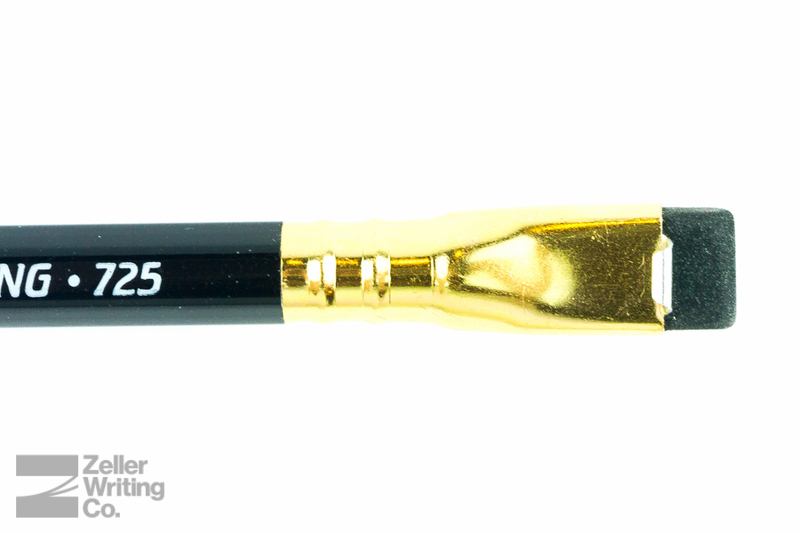 The ferrule is the same gold-color of the rest of the Blackwing line and the eraser is the standard black that can be found on the Pearl and 602 varieties. While I do love the design, when it comes to what I would have liked to see for these pencils is a some of the original grain of the wood show through the colors (which would have also eliminated the thin band from the white base-coat that appears when sharpening these beauties,) and a chrome ferrule instead of the gold. I think that those changes would have fit very well with the sunburst Fender Stratocaster design; however, that’s just my two-cents (and depending on whom you ask, it’s probably not really worth those two pennies, anyway.) That being said, I really can’t complain about these pencils. Sure, I think there are some alternatives that would have ALSO looks great, but these are still beautiful pencils. The Blackwing 725 is said to have ‘balanced graphite,’ which means that it’s the same graphite core used in the Palomino Pearl pencils. 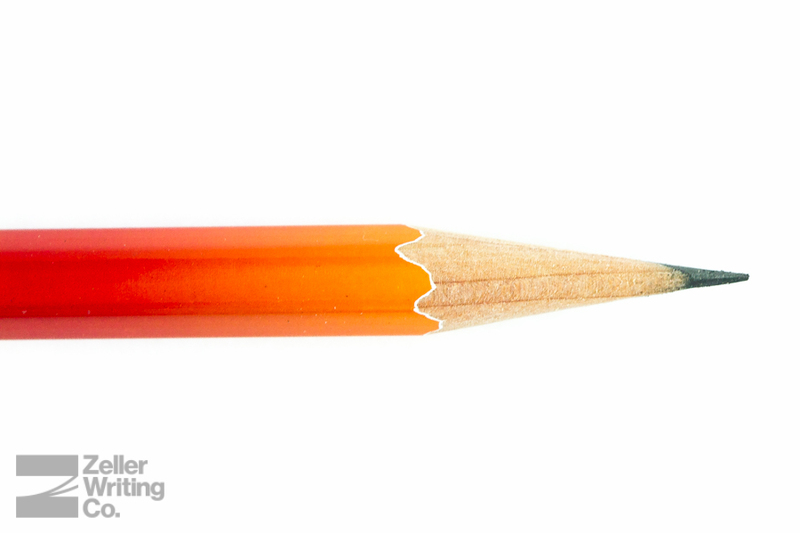 Personally, I prefer the cores of 602 pencils (which is what’s used their latest release, the Blackwing 211,) but all three Blackwing core options provide exceptional writing experiences. You’ll get a nice dark line, smooth feel, and great point retention. These aren’t your grandpa’s No. 2 pencils. Overall, this is a fantastic edition and I’m sad to hear it’s discontinued – though that’s in line with what we were told about the Volumes series of pencils, so I can’t be surprised. The pencil is presented beautifully, looks fantastic, and provides not only a great writing experience, but just feels cool to have on your desk. 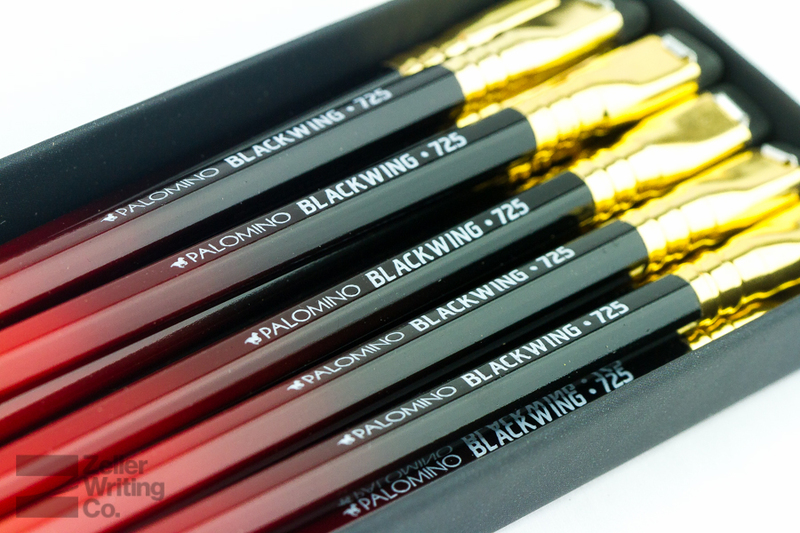 The Palomino Blackwing 725 is available now in extremely limited quantities (we won’t be able to restock once they’re gone.) $24.95/pk, available here. What’s do you feel is the most influential moment in rock-and-roll history? James Blish told me I had the worst case of “said bookism” (that is, using every word except said to indicate dialogue). He told me to limit the verbs to said, replied, asked, and answered and only when absolutely necessary.